How do i manage storage on iPhone when notified that my iPhone storage is almost full? Embrace the reality of iPhone storage shortage even though more efficient encoding methods (HEIC photo, HEVC videos) are applied to iOS 11 iPhones this year. iPhone photos, app data/cache, songs, videos, messages are still the major storage hogs we need to take care of. DearMob iPhone Manager provides the quickest access to all your iPhone data to let you manage and free up iPhone space directly from Mac/Windows end easily and fast. You can batch delete photos, songs, messages, apps to get more storage on iPhone and one-click backup iPhone to prevent data loss. As long as you've got iPhone Storage Almost Full alarm, take some time to check your iPhone storage status under Settings > General. On an iOS 10 iPhone, you need to head to "Storage & iCloud Usage" below "Accessibility", while for iOS 11 users the naming has already optimized as "iPhone Storage" and so as its abilities. 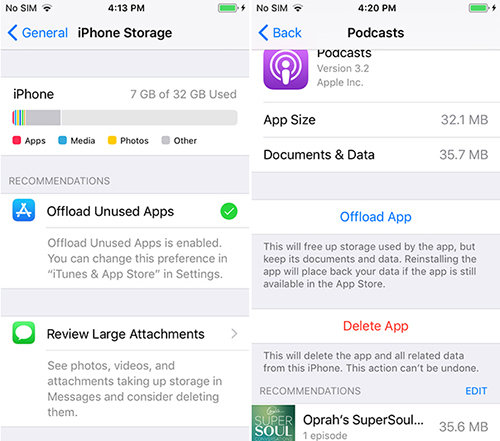 Note: Upgrade iPhone system to iOS 11 and you will be able to free up space simply by one-click "Offload"/delete even some of the preinstalled apps such as FaceTime, Mail, Tips, Maps, Watch and Weather while keep the app data. Apart from the above 4 storage-eating culprits, you should also be altert to the SMS/iMessage attachments including photos, videos, large files, GIFs and stickers etc. iPhone iOS built-in great storage detector "iPhone Storage" can help you detect some large files, but not all. You might also want to check and delete safari caches, remove iBooks you are not reading, clean up your messy notes, etc. No doubtly that you can manage iPhone storage directly from iPhone end, like deleting apps one by one, remove photos and songs selectively. But before doing that, make sure that you have backed up your iPhone in case of data loss since many deleting operations can not be undone. How to Manage Storage on iPhone? You can delete an app directly by gently laying your finger on the icon without pressing down (otherwise 3D touch menu might be provoked), or, you can target the storage hog app in "iPhone Storage" iOS 11. Go to Settings > General > iPhone Storage, and the following process can be very straight forward. 1. Scroll down and tap select it in "iPhone Storage"
2. Tap "Offload App", or "Delete App", or "EDIT"
Note that "EDIT" is used to delete app data/content specifically. For some content-based preinstalled apps like Message, Safari, detailed Documents & Data info will be displayed for you to get more space easily and specifically. Contents in Messages will be categorized in Conversations, Photos, Videos, GIFs and Stickers, and Other; contents in Safari will be detailed in Website Data, Offline Reading list, History. Very easy to sort out and manage directly. However, to manage iPhone Photos, Music and Videos are not that convenient since the pictures, songs, recordings are things we save mainly on purpose and we are reluctant to delete them without selecting or proper backup. Therefore, here, we recommend you an iPhone storage manager tool - DearMob iPhone Manager. 3. Export, import, delete, preview iPhone data/files from Windows/macOS. 6. Reduce video size over 1GB to 60%-70% of the original. How to Manage Storage on iPhone with DearMob iPhone Manager? 1. download, install and launch it on your Mac or PC. 2. Connect your iPhone to computer with Apple original lightning cable, and tap "Trust this computer" on iPhone to complete the connection. This iPhone storage manager will autio detect your iPhone storage status and all the detailed info about your device including battery health status, presented on top of the main user interface. DearMob iPhone Manager can let you manage contents in Share file apps. 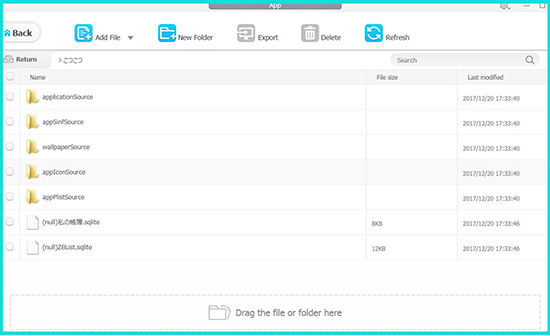 You can directly drag and drop file to the app, or delete certain contents from its file folder. Share apps are categorized seperately from other thrid-party apps in this iPhone storage manager. Click on the small file icon beside app icon to arrive at the sample interface on the right. You can batch-delete songs in seconds using DearMob iPhone Manager. This iPhone storage manager lets you view all the info about those songs and make ringtones before you decide deleting them. You can also edit remaining songs' info and playlists. The best part is, the deleting procedure can be canceled. As long as you haven't clicked on "Sync" button, the changes won't be applied and you can undo what you have done deleting. DearMob iPhone Manager here acts as a photo backup tool to let you easily export photos, pictures, wall papers, GIFs from iPhone to computer for backup. 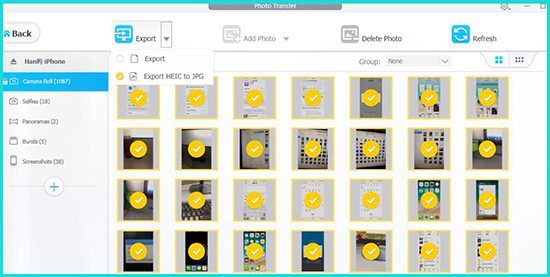 You can "Select All" and export the original photo format like HEIC, or you can choose to export HEIC to JPG. After backing up all the photos to your computer, you can safely delete all the photos on your iPhone/iPad without worrying miss deleting any of them. Note: You cannot delete photos in albums with a lock icon. Except the locked "video recorded" category, you can edit, batch delete, import any videos you as you wish. Export those videos/movies/shows that are important to you to computer for save backup before you deleting them abruptly and regreting later on. Note that videos over 1GB imported to iPhone can be compressed to 60%-70% of its original size! Make good use of this feature to save your iPhone space! As you can see from the user interface, this iPhone storage manager can do much more than just make more space on iPhone. It lets you have a whole iPhone backup restore, managing contacts, Podcasts, audiobooks, Apple Files, calendars. It can even remove iTunes movie music DRM, converting EPUB to PDF and make ringtones. 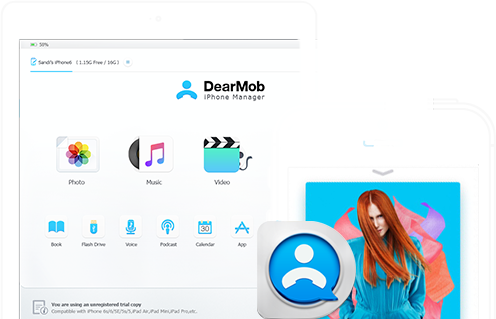 With DearMob iPhone Manager, your iPhone storage management as well as old iPhone to new iPhone data transfer can be way easier and faster than before. Try it our now! 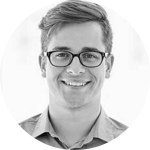 Jason, once worked as a professional software tech supporter, is good at software error detecting, fixes and software test reviews with sharpened technical insight. He also has a peculiar taste in movies, music, comics, TV Sports shows. Feel free to find him on Quora. 1 How to Copy Music from iPhone to Mac? It'll never be such easy to transfer songs (including non-purchase music) from iPhone 7/7 Plus/6S/6/5/SE etc to MacBook/MacBook Pro/Air/Mac Mini/iMac with this iPhone music transfer Mac tool. 2 How to Copy Music from iPhone to PC? The easiest way to copy music and music playlist from iPhone 8 to PC Windows 10/8/7, free iPhone music manager helps you to manage and sort out your iPhone music files with ease. Cost free with these 10 best free music apps for iPhone to listen to vast number of streaming music, online radios and download music to iPhone for offline enjoy.